Kiwi quintet The Naked And Famous are set to bring their summery southern hemisphere electro-pop to the wintry shores of Britain next month. The group formed as a duo in 2008 when Thom Powers and Alisa Xayalith met at an Auckland music school. The pair grew up listening to Massive Attack, Bjork, PJ Harvey and Tricky, taking their name from one of the Bristol artist’s lyrics. The pair were joined by Aaron Short and found early acclaim in their native New Zealand with EPs ‘This Machine’ and ‘No Light’. 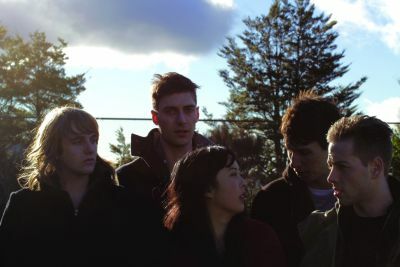 It wasn’t long before they were making their way across the Pacific, winning over a host of US blogs with impressive performances at Austin’s SXSW and New York’s CMJ festivals in 2008. David Beadle and Jesse Wood soon joined the live band to complete the quintet. Often compared to MGMT and Passion Pit, the group found mainstream success in their homeland when the track ‘Young Blood’ became the first debut single to reach number 1 in New Zealand for 16 years, winning the group the country’s Silver Scroll award in the process. Fiction Records picked the track up for a UK release and it wasn’t long before it captured the interest of Radio 1 DJs Fearne Cotton and Nick Grimshaw. The band is currently re-working the self-produced debut album ‘Passive Me, Aggressive You’.